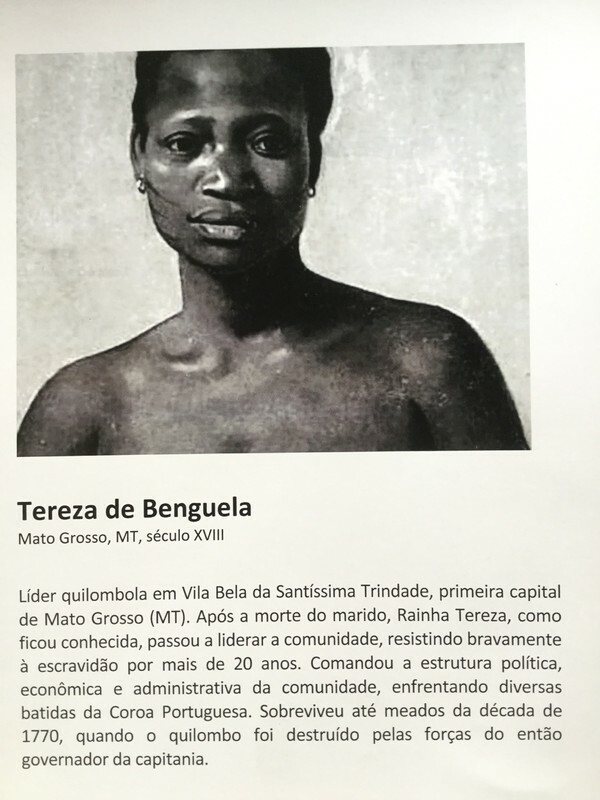 translation: She was the leader of a quilombo* in Vila Bela da Santissima Trinidade, the first capital of the State of Mato Grosso. After the death of her husband, Queen Tereza, as she was known, became the leader of the community, bravely resisting slavery for more than 20 years. She commanded the political, economic and administrative structures of the community, confronting many clashes with the Portuguese Crown. She survived until the middle of the 1770s, when the quilombo was destroyed by the forces of the then Governor of the Captaincy.